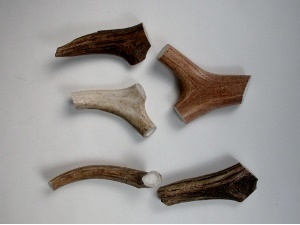 We get a limited supply of assorted deer antler scraps from white tail and mule deer. 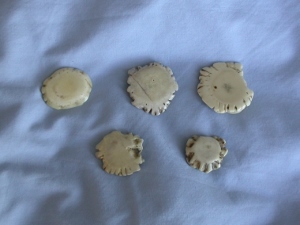 They are available tumbled or polished, and come in varying sizes and shapes. These are perfect for craft projects. 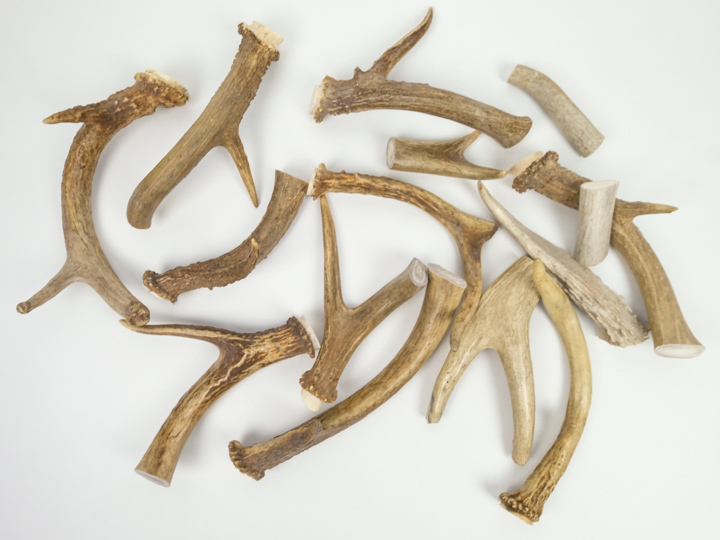 On average, the tumbled antler scrap pieces run about 3" to 4" long and about 1½” to 2½” wide. There are approximately four pieces in a pound. 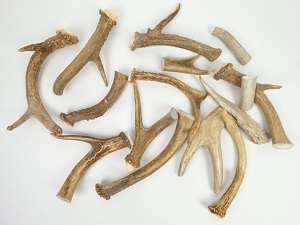 Thie above video shows an assortment of tumbled antler scrap. Shows a size comparion to a U.S. one dollar bill.